Made of lightweight baby blanket material, they are soft and comfortable, easy to wear on and pull off. Loose enough to pull over warm clothes during cold weather. Wash by hand or machine. 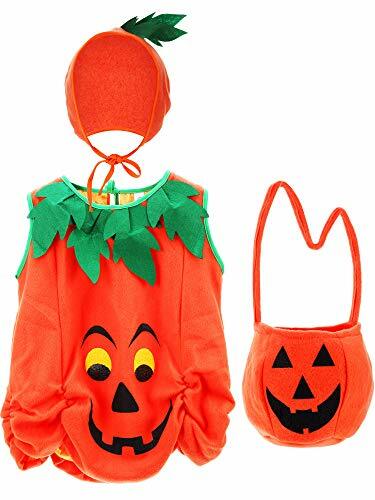 Suitable for Halloween costume, performance dance party and theme parties, cute pumpkin bag for a candy collection, they makes your baby cute and happy. If you have any questions about this product by Tatuo, contact us by completing and submitting the form below. If you are looking for a specif part number, please include it with your message.